ven if your library isn’t a government depository MARCIVE’s Documents Without Shelves will give your patrons direct access to over 55,000 titles published by the Government Printing Office (GPO). Documents Without Shelves provides full MARC records with URLs for thousands of government documents published online or as PDFs. Load them into your catalog and patrons will be able to link directly to full text government documents. A yearly subscription includes monthly updates to ensure you have the latest documents as well as current links. Who Uses Documents Without Shelves? Any library! 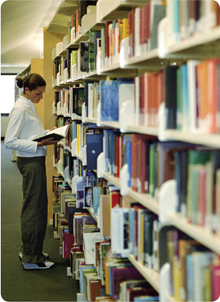 Public, academic and law libraries of all sizes. You don't even have to be a depository library to give your patrons access to the GPO's valuable resources.